Within the arts there is a growing ethical consciousness, both in the way it relates to the larger social, political and economic challenges and in the way it reflects on its own production and distribution mechanisms. The Ethics of Art. 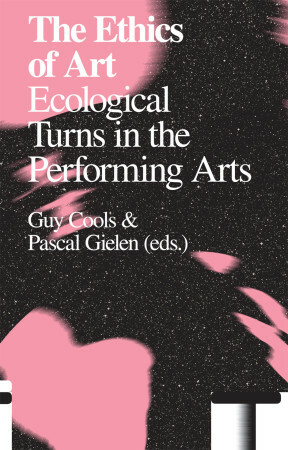 Ecological Turns in the Performing Arts, edited by Guy Cools und Pascal Gielen, attempts to describe how artistic imagination can produce new situations, based on the potentials and limits of the individual ‘body’ within its environment. The book focuses on the European contemporary dance scene, but it embeds this in the larger context and history of eco-art practices, while also providing some striking examples of best practices from the USA and Canada. In The Ethics of Art the singular voices of individual artists, discussing their own creative practices, are equally important as the more scholarly contributions.